Online ordering menu for Osteria d'Assisi. 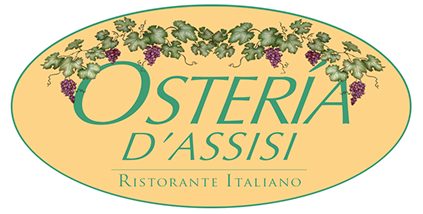 Osteria d'Assisi is one of the best authentic Italian restaurants that you will find in Santa Fe, New Mexico. We believe in using the freshest ingredients from local farms to create your decadent dishes. Our lunch specialties include Lasagna Alla Bolognese and Spaghetti Al Ragu while our dinner specials include pizza and pastas. Try out our Antipasto platter for our Chef's selection of cured meats, cheeses, and Italian olives. Come to Osteria at the corner of S Federal Pl and Washington Ave. to start your authentic Italian experience! We are near the Santa Fe Public Library and New Mexico History Museum! Order online for carryout!